I am shy and I am bold. I am weak, I am also strong. I am an emotion and no emotions at all. I am sweet, I am also bitter. I am powerful and powerless. I am warm but I am also cold. I am absolute sense, I make no sense. I am peace and I am chaos. I am the end, I am also hope. I am the light, I am darkness. I am easy and also difficult. I am only human and I am a goddess. Disclaimer: This post is going to be deep. So I get a lot of questions on why I do what I do and why I always have to do things a certain way. I am going to try answer these today. So not until long, I was just another random person with no identity of my own. I was preparing for CAT right after graduation and honestly did not know what I wanted to do with my life. I used to come home and cry every day because I knew that CAT was definitely not my calling. Fashion was always an important part of my life but it always took a back seat. How to: Style a Saree, part 04. Yeah I know this one took a lot of time. Why? I have been sick for the past three days straight. Maybe you care, maybe you don’t but we are here for something else! This fourth look is very close to my heart. To most of you, it will come out as funny, stupid and ‘oh-she-is-trying-too-hard’ kind. For me it is so ME. If you have followed my blog you know about my love for casual sporty looks. So my fourth and last reason for having done this series is that sarees too can be an everyday casual thing. I know they’re hard and such a fuss but can be tried and honestly after having worn a saree this whole day for the shoot I was so comfortable in it by the end that it seemed like another piece of everyday clothing. My mother wears saree 365 days a year! No, I’m not kidding. So before we dig in please do take a look at the three other ways I styled this saree in, here Part 01, Part 02 and Part 03. How To: Style a Saree, part 02. Today I am supposed to be telling you the second reason why I’m doing this series right? Thank fully I have it right here, on the palm of my hands. This is because I very strongly believe in it and it is a great change that I am anticipating will take the world over, sooner or later. Minimal statement jewelry. Yes! Yes, you read that right. Somehow by default, when we hear the word statement jewelry we instantly imagine those huge, detailed, heavy and “not-everyday” pieces we see and wear only occasionally. However this is not true. Not true to my belief at least. For me statement jewelry has to be anything that is a conversation starter, people have to turn around for a second look and simply makes a statement everywhere it goes. And of course, such statement pieces can be minimal. Today I’ll show you what I’m talking about. 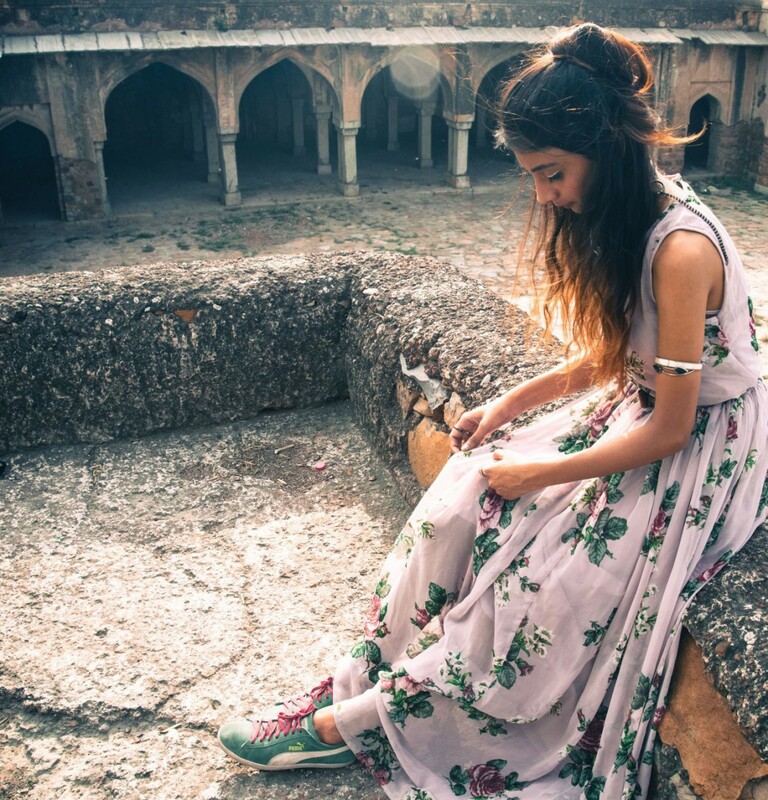 A few months ago during the Amazon India Fashion Week I came across a designer Vrindaa and her label Silvense. According to her, her designs manifest freedom and individuality, which is very much visible. I love how contemporary yet grounded the collection is. It is for the modern, fierce, independent woman we have today.